India’s Tata Group and Singapore Airlines have "an open mind" on acquiring a majority stake in indebted flag carrier Air India (AI), the chief executive of Vistara, Leslie Thng said. Mr Thng was responding to a question at a news conference of Vistara, which is a joint venture airline owned by Tata and SIA. "The two entities, Tata Sons and Singapore Airlines, keep an open mind, meaning that they will evaluate if there is a business case," Thng told reporters, though he did not clarify if the two entities will bid for the state-run airline jointly. Thng started his career with Singapore Airlines in 1999 and has held many senior positions at the carrier. 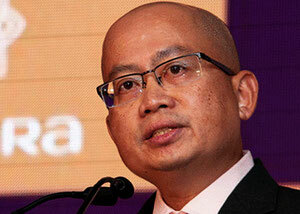 Among others, he has served as chief executive of Silk Air. At press time, both companies had not commented on their possible involvement in the Air India divestment. Air India, which was founded in the 1930s by the Tata Group and nationalised in 1953, is saddled with a debt of Rs 52,000 crore (US$8.5 billion). The Indian cabinet approved the divestment of AI in June and formed a committee to decide on its modalities. According to a Reuters report, several private domestic carriers have expressed an interest in buying the beleaguered airline, which still has about a 13% market share in India, and is the country’s third biggest carrier, according to analysts and government reports. Last month, the Economic Times reported that the government in principle had decided that the sale of Air India would involve its core aviation assets packaged with low-cost subsidiary Air India Express and AI-SATS, a 50-50 ground handling joint venture with Singapore Airport Terminal Services (SATS). All non-core assets, like the Air India building in Mumbai and other offices, will not be part of the sale and become part of the special purpose vehicle (SPV), the report said adding that the SPV will also include house Air India’s non-aircraft debt and assets like offices, residential quarters, land and even ticketing offices. Apart from the Tata/SIA grouping, India's largest carrier IndiGo has been so far the only carrier that has officially shown interest in buying Air India, while companies like Bird Group and Celebi - both of which are involved in ground handling - have shown interest in that particular part of Air India's business. At present, Air India doesn’t operate any freighter aircraft. Cargo is carried in the lower deck compartments of the carrier’s passenger fleet only, both on domestic and international routes. The cut off time for the acceptance of shipments destined to Indian destinations is three hours while goods booked on international flights must be handed over to Air India four hours prior to takeoff. In mid-2014, the India carrier became a member of the global Star Alliance, offering passengers worldwide reach.